Astute readers of this blog will most likely have guessed that I am not between the ages of two and six. They may well have also concluded, given the amount of theatre I am able to watch, it is likely that I have either a very forgiving partner or no small children of my own. 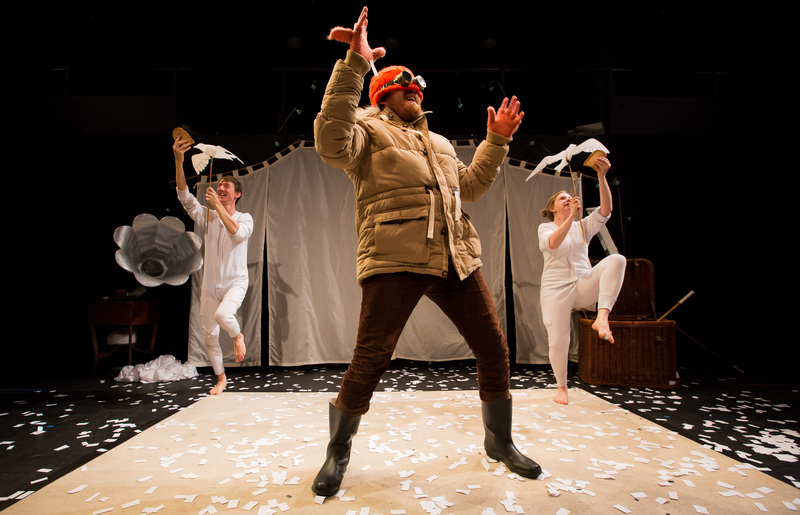 As a result it may be surprising to find Civilian Theatre at the Battersea Arts Centre on a Saturday afternoon to join Little Bulb and their ‘brave explorers club’ on a 55-minute adventure to Antarctica (not bad going – it takes me over 2 hours to get to Gloucester at Christmas). 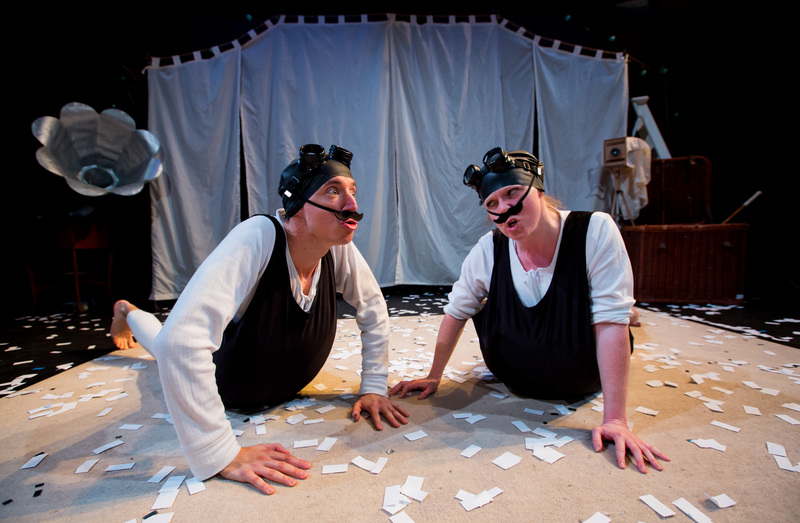 Antarctica is a show for children from Little Bulb, the theatre company that thoroughly charmed this reviewer when they took full advantage of the Battersea Arts Centre’s period décor to present a wonderfully innovative take on the Orpheus and Eurydice myth. Despite the tragedy of Eurydice they managed to introduce a humour built on whimsical charm and a very intelligent silliness that gave Orpheus a really unique feel, and it felt that their creative and spirited approach to story-telling would be perfect for the world of children’s theatre. Paying close attention to their audience they have built up the silliness but, and this is crucial to all children’s theatre, they haven’t dumbed down the approach. At no point do you feel that Little Bulb are patronising or phoning it in. This is not Nativity 3, where if you look closely you can see £ signs where the actors’ pupils should be. Each child is afforded the respect that any adult would be, and this is evident in the humour that runs deep throughout the show. Jokes have a structure and intelligence that acts as a reminder that there should be no cheap laughs no matter who is watching; good comedy is hard work and it requires a lot of heavy lifting to make jokes that feel this light. The cast of Clare Beresford, Dominic Conway and Alex Scott work really hard to provide a warm and inclusive show. It starts as the audience is filing in, settling down and finding somewhere to put the various bags/scarves/hats/mittens that appear to accompany any mass family outing. Beresford and Conway create a soothing and magical atmosphere with the aid of xylophones and various percussion whilst Alex Scott (Sir Peregrine Falcon) makes himself busy teaching us all the brave explorers greeting and bestowing his sandwiches, maps and flags on various small children. The plot is inevitably rather lightweight – we are to join Peregrine on an adventure to see the near-mythic ‘Owlabear’ (body of a bear, wings and head of an owl), whilst along the way we can help our brave explorer fill up his photo album with all manner of strange creatures. Anyway Little Bulb barely require sets as Conway and Beresford are masterful at turning the everyday into the magical. They are given the task of recreating the creatures to be found along the way, and are captivating as they invest each new animal with personality that feels rooted in real-life. As a result we get comedic, romantic penguins, bolshy walrus seals and pesky seagulls. Because of the total commitment of Conway and Beresford, and their natural clowning, Antarctica comes to life in our heads with the simplest of representations; whether it is a dinner jacket for a penguin, a simple sheet to represent mountains or false moustaches and goggles for seals. 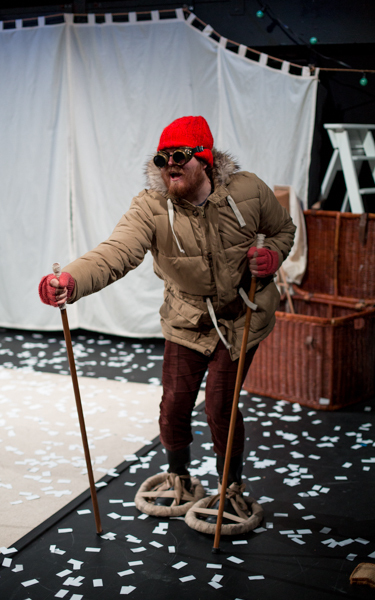 There is an Alice Adventures In Wonderland feel to the whole show; it captures Carroll’s imaginative flair but applies it to adventure stories of the real-life polar explorers. At times it can feel like The Mighty Boosh but rather being aimed with annoying hipster-tweeness at kidults who refuse to grow up, this is faithful, honest and always aimed at its primary audience. That it is also really enjoyable for a thirty-something with no children is just a happy bonus.